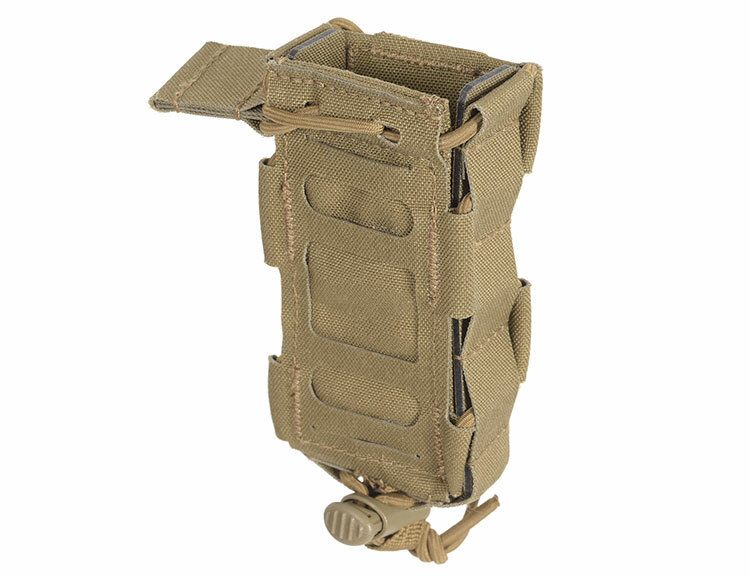 Intended for transportation and fast reload of one Personal Defense Weapon (FN Five-seveN, MP7) magazine. 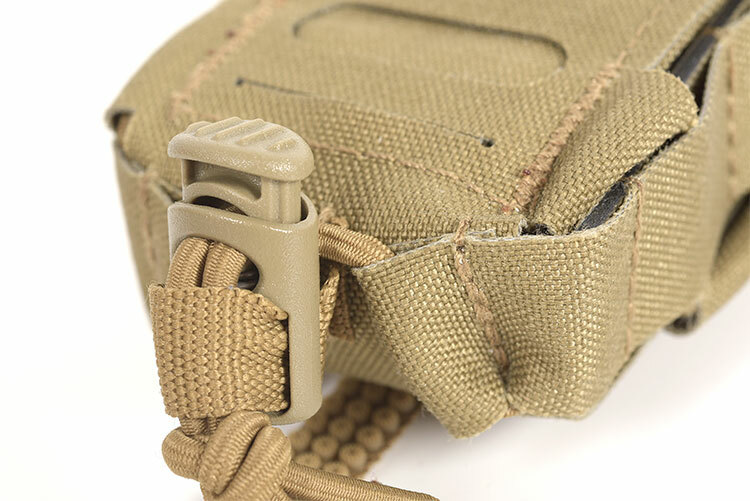 Retention cord with pull-tab permits fast access. 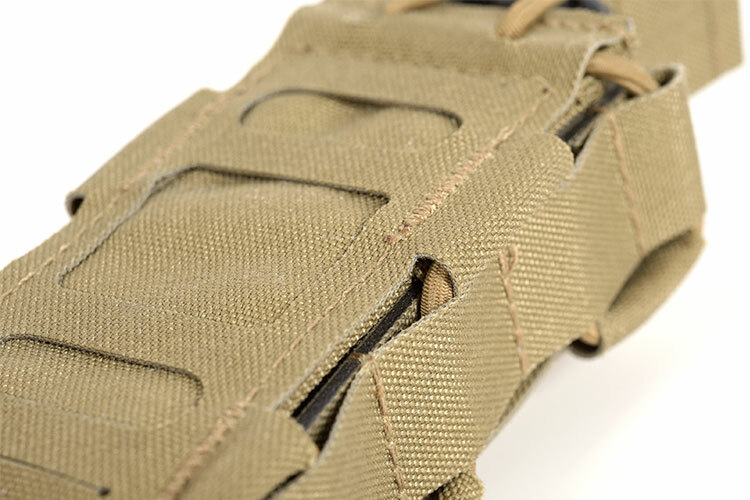 Expandable side walls make it possible to extract the magazine towards the sides or the front. 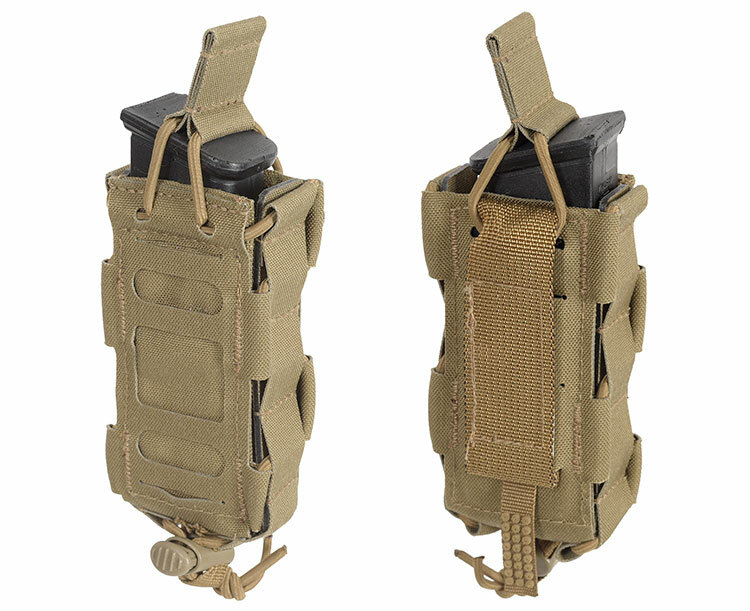 Cordstopper at the bottom permits adjustment of size to accommodate various types of magazines.